A young, dynamic interior design consultancy service and online store with a fresh take on interiors. Colourful, dramatic and fun! We love helping people step out of their comfort zone and create their dream home. We find people are often nervous to take the step to embrace colour, pattern or something new and exciting, even though they really want to. Which is where we come in. We love Iris Apfel and everything she does. One of our favourite mantras from her is, “Personal style is about knowing yourself, staying curious, and maintaining a sense of humour”. We think this translates to decorating your home perfectly. What is the first thing you do when you sit down to start a project? Our clients' needs from a space is always our starting point and central to how we design, whether it’s a residential, retail or office space. Then, we start building our concept around this. What other interior designer’s work do you admire? Kelly Wearstler – in every way. Her aesthetic, her brand, her persona. Architect and designer, India Mahdavi is our icon in terms of aesthetic. Both have such a unique style while being wonderfully glamorous too. Can you tell us about a favourite project & why?Our best projects are when a client wants to be adventurous and isn't afraid to take risks. A project in Donnybrook, Dublin 4 was one of our first and still one of our favourites. We had great raw materials to work with as the house and great clients who wanted to do something exciting and colourful. Favourite trends you’re loving right now in design or architecture? 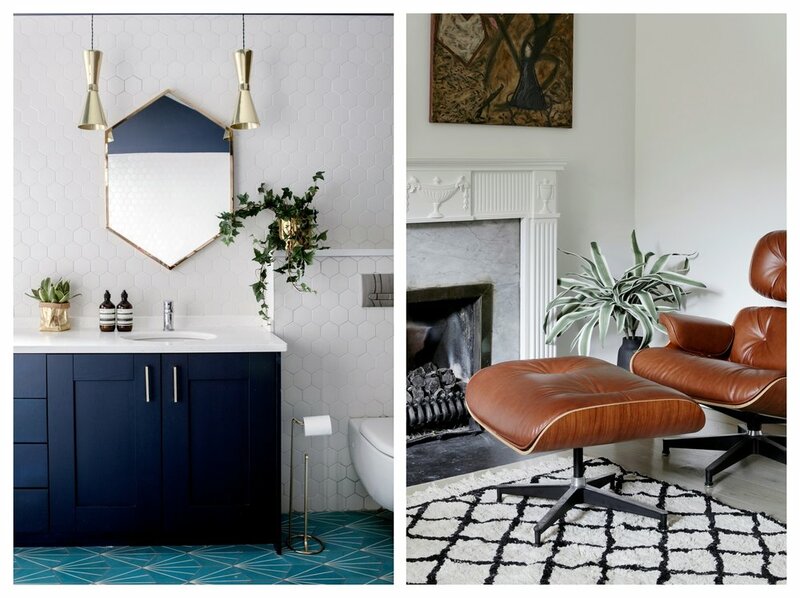 We are loving the way interiors is moving towards maximalism and away from a super-minimal, Scandi-chic look. We’ve always loved all things colourful and patterned. One of our enduring loves in architecture is Mid-century design. Some of the most beautiful buildings came from that era and we love the way architects of that time thought of interiors in conjunction with the buildings they designed. If you can give 3 pieces of advice to someone about their home decor, what would it be? 1 If you really want to embrace something new in your home that you’ve never done before, go for it, you rarely regret it. Your home is about expressing yourself. 2 Go bigger than you think - mirrors, art, lights – the bigger, the better. 3 Bring contrast into your home – that’s what makes it interesting and gives it that wow-factor. Whether it’s contrasting colours, styles or materials. Can you tell us about recent and upcoming projects? We have just completed a full house renovation in Monkstown which we’re really proud of. And we have lots of big residential and commercial projects on the horizon. Watch this space! What are you currently coveting in the world of interiors? The fringed sofa by Munna as well as pretty much the whole range by Welsh designer, Bethan Gray. What’s the one space in the world that continuously gives you inspiration? 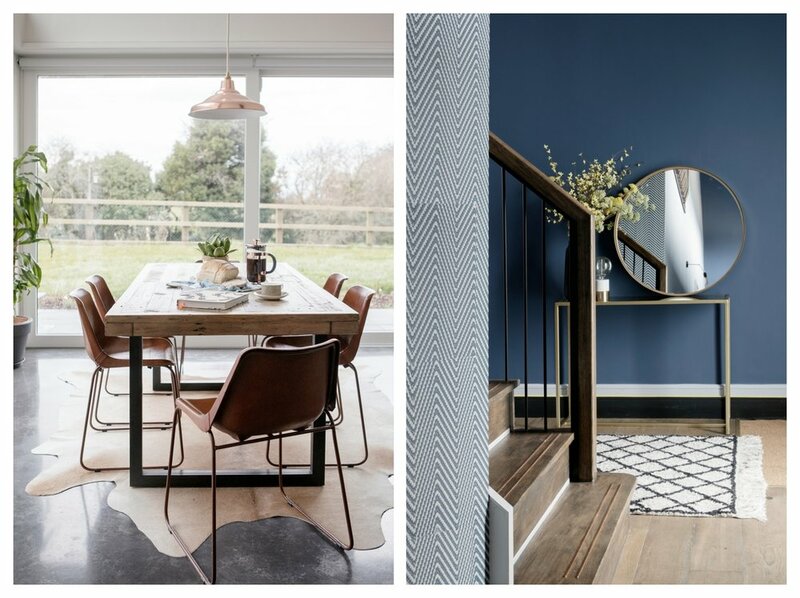 Dust is a young, dynamic interior design consultancy service and online store with a fresh take on interiors. The team has worked in London and Dublin on residential and extensive commercial projects. Dust offer a full design service, handling every stage of the project. Get in touch with the team.